Wonder how to budget and save money for your family? It’s all about wise management, budget planning, and finding the best deals, discounts, and household optimization opportunities. It’s also an ongoing work, so becoming financially aware and staying up-to-date on various money-saving news are also parts of the grand plan for improving your family’s financial situation. Getting your tax payments in order is a necessary step for preventing financial and legal problems. It’s essential to do this before we move on to actual saving money tips and budget planning. Going over your taxes will help create a budget as well as estimate what kind of refund you can count on. Understanding the mechanisms of tax deductions will also help you choose the best ways to save money available to you. If you currently operate on a tight budget, you won’t be able to hire a professional to do your taxes. I suggest using calculators and other helpful tools, like TurboTax. This tool is extremely efficient and versatile, so it will be helpful no matter what your circumstances are. Calculate your income (best start with monthly). 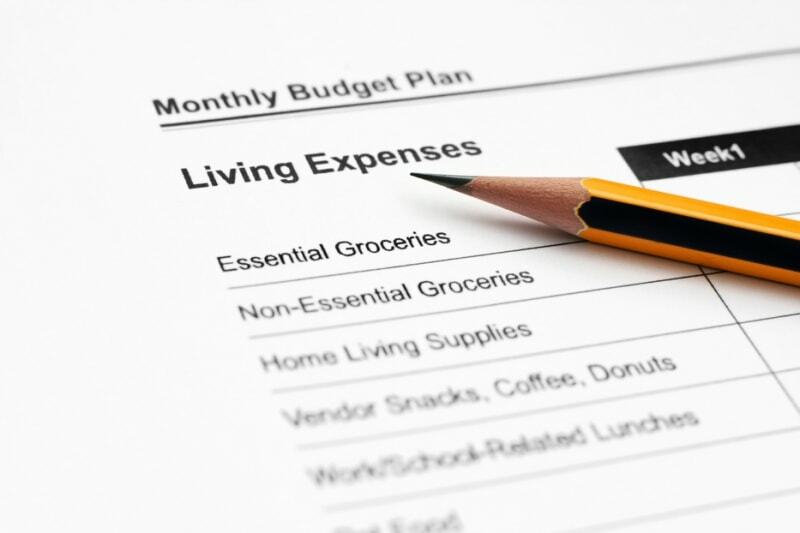 Make a list of your fixed monthly expenses (debts, rent, utilities, basic living expenses). Set your financial goals (including your money saving objectives, both short and long term). Note that these goals might include some expenses, which you need to account for in the budget. For example, you might need to make a down payment for a home in order to save money on rent in the long term. This will require setting aside a specific amount of money every month. Make a list of your non-essential (discretional) expenses. You might not have room for those in your budget when broke. However, it’s suggested to reevaluate all your expenses to determine which of them are truly non-essential. Add all your expenses and subtract the number from your income. Monitor your spending and adjust your budget as necessary. If your expenses currently exceed your income, your plan for how to budget and save will include another step, which is ‘find ways to save money’. To simplify the entire process and make it more accurate, as well as automate the management of your bank accounts, bills, and expenses, you should use a family budget app. 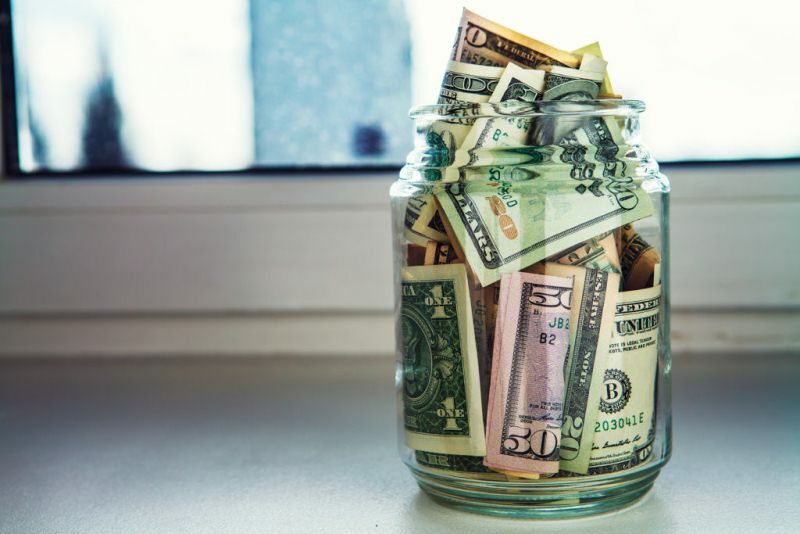 There’s a plethora of saving money tips that can work for different situations. For example, use one brand of coffee over the more expensive one, or buy more economic detergents, or start walking for groceries to save gas (this might boost your health too). Use price comparison websites for any major purchase (and minor too if you have the time). Best services to try: GoogleShopping, NexTag, Shopzilla, PriceGrabber, com. Look for discount coupons and deals on specialized websites and sign up for their email letters to stay updated on the best offers in your area. Best services to try: eBates, SmartSource, com, ShopAtHome, RetailMeNot, RedPlum. Shop through websites with cheap and used goods whenever possible. Best services to use: Craigslist, eBay, AliExpress, Oodle, com, Geebo. Save or invest loose change or small amounts of money using specialized tools. Best options: Acorns (mobile app), Digit (mobile app), Way2Save (savings account), Bank of America Keep the Change Savings Plan. You should also make a willful decision and cut your non-essential expenses. To make this easier, when you develop a plan for how to budget and save money, you should also look up sources on adjustment psychology. This is especially important if you’ve never had the need to live on a shoestring budget before. It might seem counterproductive to transfer money to an account that ‘goes nowhere’ while you are already forced into saving on a tight budget. However, this will be most beneficial in the long run as this fund will give you some breathing room in case of an emergency, like accident or disease. The main purpose of an emergency fund is to save you the need to take out loans with unfavorable terms. That’s why you need to understand that in certain situations you might need to use it to tide you over before you can get a more favorable loan. This matter is extremely dependent on the situation and there is no best plan that fits everyone. I’d suggest using your budget calculator to draw up various plans and work out the best use for your emergency funds. The most important thing to remember is not to count on this money when you create a budget plan for the next month/year. These are the funds that should stay ‘off the radar’ and be for the emergency cases only. There is a variety of government-funded programs that can help you save money or get more tax returns. For example, IDA (Investment Development Account) is a program that enables you to both learn about managing your money and get payouts for savings made through this account. Programs like this are varied and finding them is a difficult task (that’s why so few people actually use them). Unfortunately, there is no better plan for finding them than to spend several nights surfing through government and various financial organizations’ websites and looking for every available savings option. Google will be your main helper in the search for how to budget and save with the Federal Government’s help. First of all, get debt counseling! If you’re broke and struggle under any debts, this is the most important thing to do. 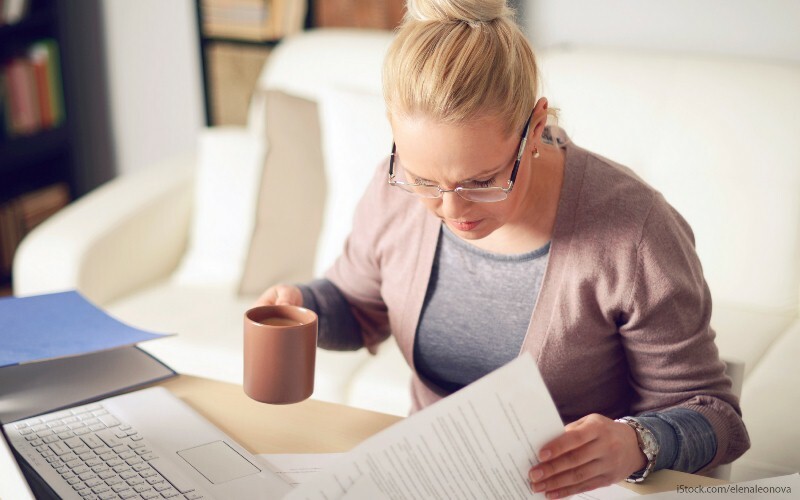 Like with the savings mentioned above, there are many programs that will help restructure and otherwise manage your debts. A professional will be able to help you find the best solutions considering your current situation. You should also contact your creditors and try to renegotiate the loans with them. Provide information about your current circumstances, for example medical records and bills. Your goal here is to show that you aren’t able to keep up with payments due to the circumstances beyond your control. Saving money and budgeting might seem like complicated tasks at first. But once you start thinking of all your expenses from the money saving perspective and use various budget management tools, the process will become second nature. It’s always the hardest to start, but seeing your family’s financial situation stabilizing and improving will motivate you to continue. Do you have any other ideas or money saving tips? Share in the comments!